YOU CAN BE IN IT! Just look at the FotR: TS Casting Call page and find the character you want to be! Then you can audition by sending an email to origamichewbacca@gmail.com and tell me why you want to both at character. If you get the part, then youll get a script with your lines on it. Then film yourself saying your lines and send the clips to me! Good luck and May the Fold be with you! CJ, I sent JC my audition for Peter. Ask him if he can email it to you. Sorry Noah, DJ asked to be Peter first and gave a good audition. And please send your audition to origamichewbacca@gmail.com. But you can choose any other character! How bout Xarl or Malcom? Bummer. Is Peyton open? If not, I’ll do Malcolm. YOU SHALL NOT PASS! He has Gandalf, right? I play Peyton! And Malcom is open! He DID have OriGandalf in the Fold of the Rings books. But in the Grand Finale, Xarl has OriGandalf. So, me and JC decided, that Malcom could have Origami Captain Boromir of Gondor! Or maybe Captain Foldomir! Is that ok with you? Great! I always wondered when he’d show up. I can’t send in anything today because i feel a little sick, but I’ll send it as soon as I can. Awesome! I hope you get better soon! I’ll send you the script! Oh, and could I ask you a question: Why do want to play Malcom? Is it because he’s one of the last guys left? LOL! YES!!! The actual story got confusing. Now I can finnaly understand! He’s an origami Eye of Sauron. He pretty much looks like an eye of fire. He’s also the main villain in Lord of the Rings. And just look up “eye of Sauron” if you want find out what it looks like. ok i will look him up, and my mom is wondering about you, she thinks you are an adult and why you aren’t in school. so unless you can persuade her you are a kid, i won’t be able to do it, but i really want to do this so can you explain to my mom like i didn’t tell you all this. i will try to persuade her into watching the series to see what you look like. Ok! I’m homeschooled, so I can have breaks now and then. Thank you for your help, i can now be in the show, i will send you my video right after school. CJ, can I be Peter again for Season 2? Sorry DJ, but I told Noah he could be Peter for Season 2. But I might be able to get you another part in Season 2. 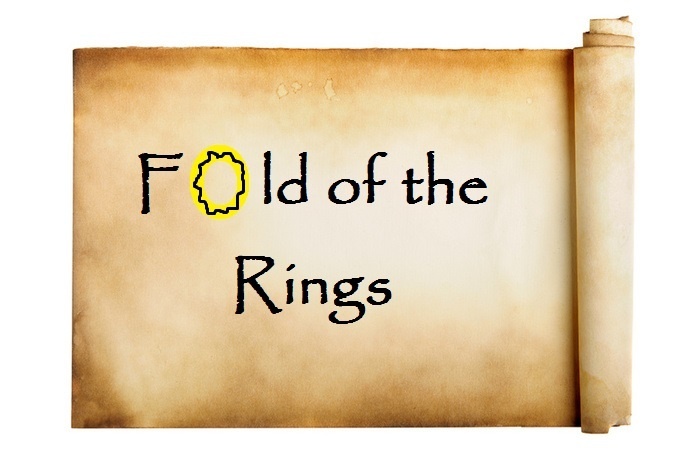 FOLD OF THE RINGS: EPISODE I IS OUT!!! In the Fold of the Rings Web-I-Sodes page! Can I Be In The Next Episode? That Would Be Stooky! New Character Name: Peter! Sorry, New Name Taken! How About Sean? Blintz the knives! Fold the forks! Burn the bottles and crease the corks! Rip the glasses and tear the plates! That’s what Bilbo Bag-gins hates! Cut the cloth and doodle on fat! Leave the scraps on the bedroom mat! Pour the glue on the pantry floor! Splash water on every door! Flush the crocks down the toilet bowl! Fill them up full of pencil-holes!